Last week I went to a local Costco warehouse store. I parked on the street since the lot was packed. 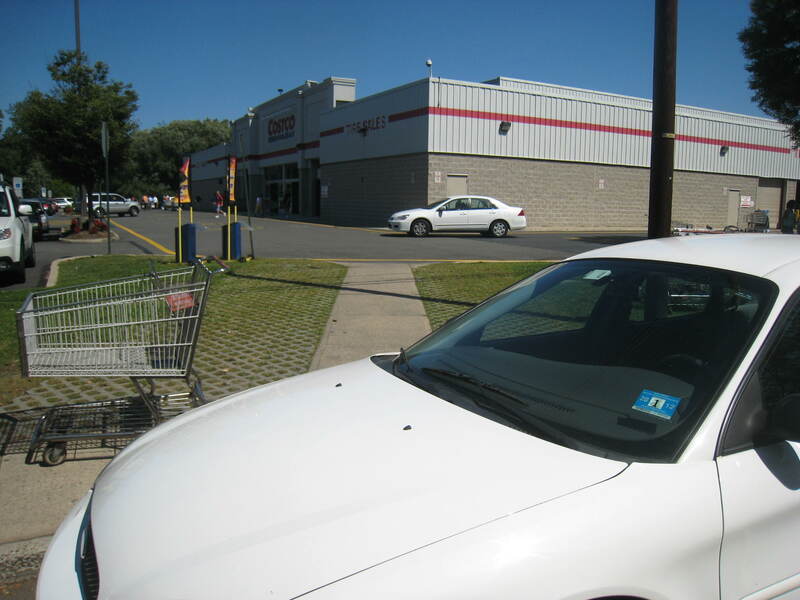 When I returned to my Honda Pilot to offload the boxes of stuff and cases of liquids I’d purchased into the back of my Pilot, I found a white Ford Taurus parked thisclose to my rear bumper, making it next to impossible for me to stow my stuff. 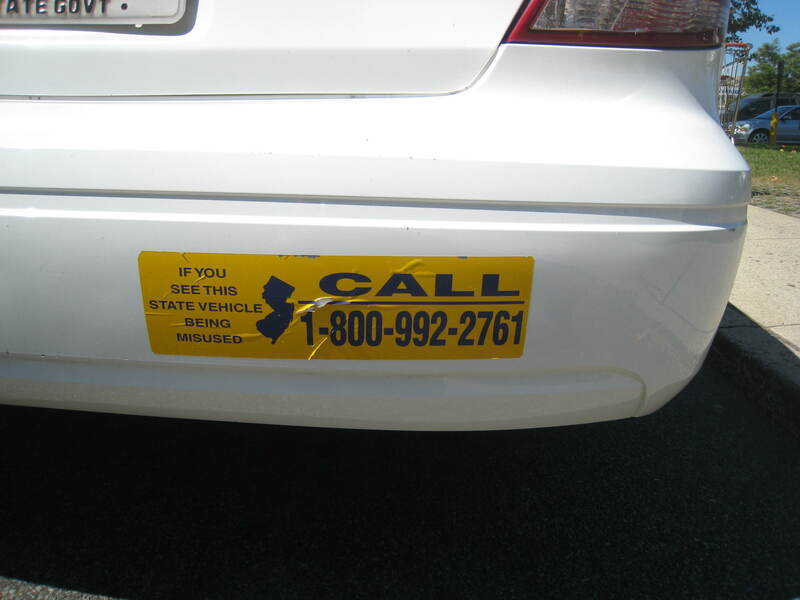 Annoyed, I took a better look at the vehicle and realized it was a NJ state vehicle. I wondered what the heck “official business” the person who parked so close to me would have in Costco. Costco of all places. Hmmm. Does your state do bumper stickers like these? Or don't you have the graft and abuse probs we have in Jersey?! I called the number listed, now wondering what the heck the person was doing in Costco since nothing else is even remotely near where our vehicles were parked. The phone was answered on the first ring. A man identified himself by name and asked for the vehicle’s plate number. I gave it to him. The friendly voice verified the make and model of the car, then let me know that the person authorized to use that vehicle does “inspections.” He or she was likely inside the Costco inspecting the lights, plumbing, or something else.